Jousting exhibit at the Higgins Armory Museum. I’m an avid reader, but I must admit that I shy away from any book series that’s made into a TV show. However, I made an exception with the “Game of Thrones” series by George R.R. Martin and I’m glad I did. The biggest downside to becoming a fan to a fantasy book series is that you can’t exactly go visit any of the wondrous places in the world that Martin creates. 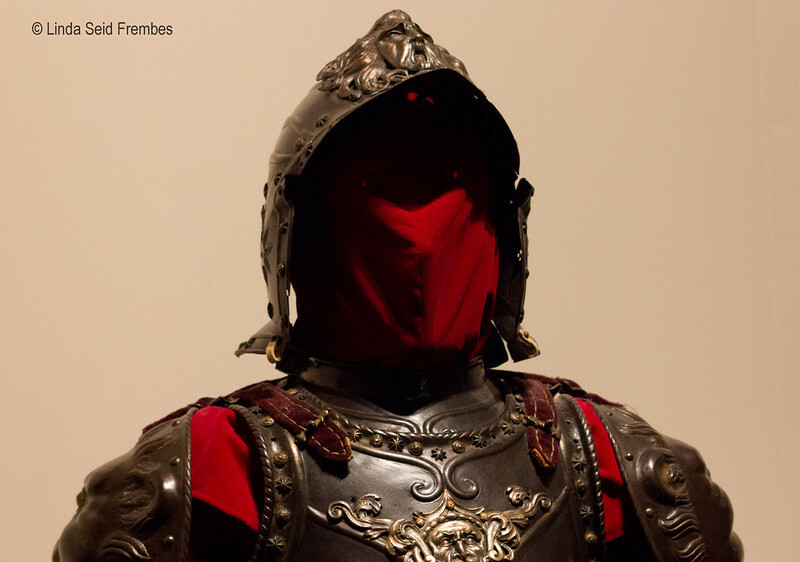 But, if you love metal work, armor, and want to see a longsword or a broadsword up close, the closest thing to saddling up and galloping off towards Westeros is the Higgins Armory Museum in Worcester, Massachusetts. Founded by 1900s industrial magnate John Woodman Higgins, the museum is the only dedicated museum of armor in the western hemisphere, according to their web site. The exterior of the building may be art deco, but the interior is built like a four-story castle. Many of the exhibits are under glass and are not interactive. Of these exhibits, almost all information is presented on a typed piece of paper or a printed poster. That being said, the collection is expansive and impressive so visitors will have plenty of reading to do. 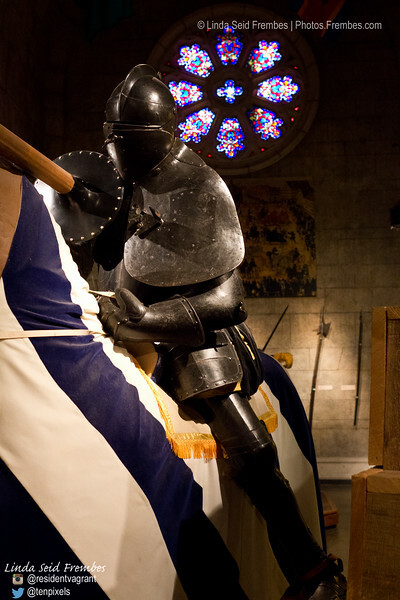 The newer part of the museum seems to be upstairs, where there is a climate-controlled room filled with more armor as well as an interactive jousting exhibit. Also on the top floor is a castle-themed play space for kids to run around and be kids. Depending on your level of interest in the world of armor, you can book a private Arms and Armor tour, a birthday party, or take classes at the Academy of the Sword. Bonus: If you go for a visit, a great side trip would be to Crown Bakery at 133 Gold Star Blvd., about a 10-minute drive from the museum. The Crown Bakery is a wonderful European bakery and deli that has been around for 40 years. Previous Previous post: Lord Rayleigh, sunsets, and pro audio – who knew? !